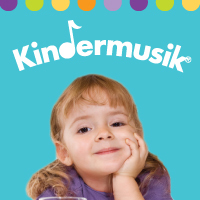 The Kindermusik programmes specifically focus on children's different developmental stages. All programmes and activities are based on the latest research in music and child development. In Kindermusik you will find classes for children 0-13 months (Village), 13 months - 3 years old (Our Time), 3-5 years old (Imagine That) and 5-7 years old (Young Child), where each child's development and learning are encouraged in a safe environment. Parents also benefit from the Kindermusik experience! By taking part in the class, Kindermusik gives you the opportunity to spend quality time with your child, share experiences in a fun and creative way and strengthen your bonding. With high quality materials children and their families are prompted to continue the Kindermusik experience at home.